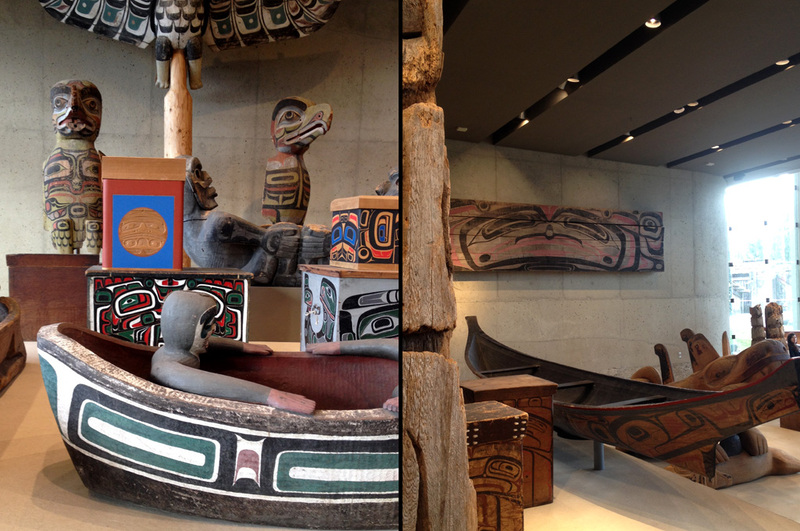 The UBC Museum of Anthropology is a peaceful haven open to the world. This museum is perched on the western edge of Vancouver, located within the University of British Columbia campus. On Point Grey cliffs, at the border of the Sea of Salish and surrounded by the forest, this place of knowledge and discovery brings together collections of nearly 535,000 ethnographic objects, including 6000 textiles from all over the world: South Pacific countries, Asia, Africa, Europe, South America, and especially North America. 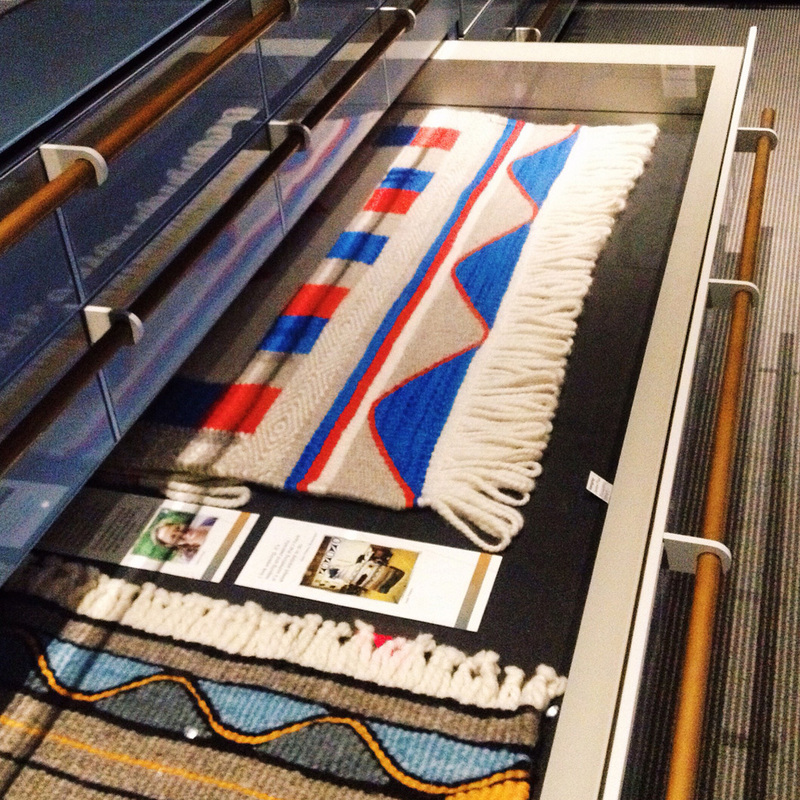 The hall is devoted to the impressive Northwestern First Nations woodwork. It combines carving and painting techniques, to build canoes and totem signs in a unique and spectacular style showcasing a natural world of spirits and wild animals. To show the ethnographic collections, the MOA opens its storage to the public with the Multiversity Galleries (Ways of Knowing). 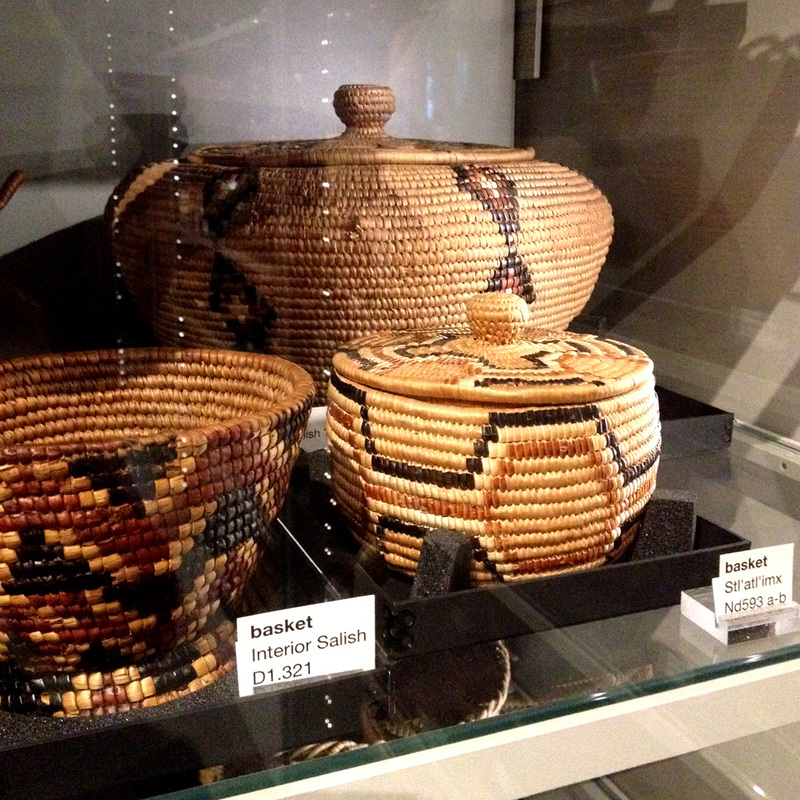 These exhibition galleries offer a privileged access to thousands of items patiently collected by the museum since its creation in 1976: an exceptional diversity of craft pieces (pottery, basketry, clothing, belts, bags, jewelry, masks …) representative of a variety of ethnic groups worldwide. Making the museum a sensory and interactive experience has been a successful achievement. Thanks to an innovative digital catalogue available on site or online, you can research artifacts, view high resolution images, learn more about their origins, materials and making techniques, and finally locate them precisely in the galleries. In windows, on shelves, in the drawers of custom-made cabinets, these remarkable ethnographic objects are put back into the museum space, and made accessible to visitors who therefore become more active in the process. One definitely feels a strong commitment in respecting the values and beliefs of each community, working in close collaboration with the makers in the exhibition of their work and their identity. Nexus of dialogue and encounter, the museum boasts a different approach in the representation of material culture and anthropology. 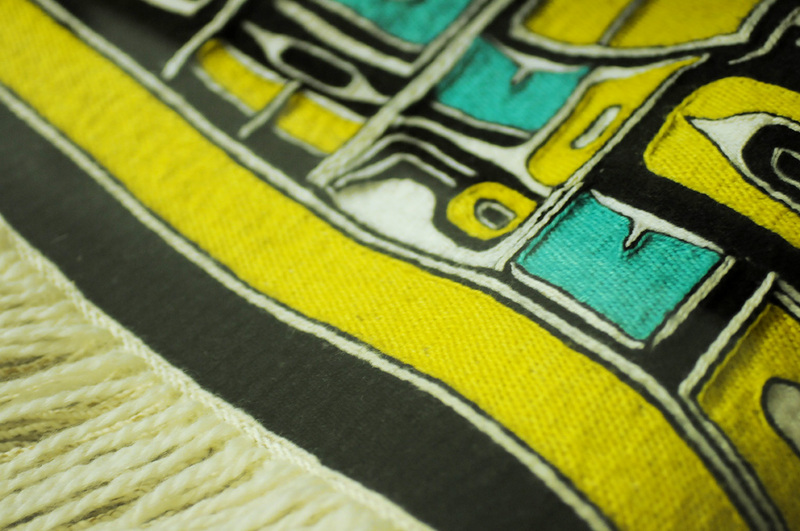 The textile arts of the First Nations of the region are the expression of unique traditions, privileged witnesses of ancestral rites which are necessary to keep alive. 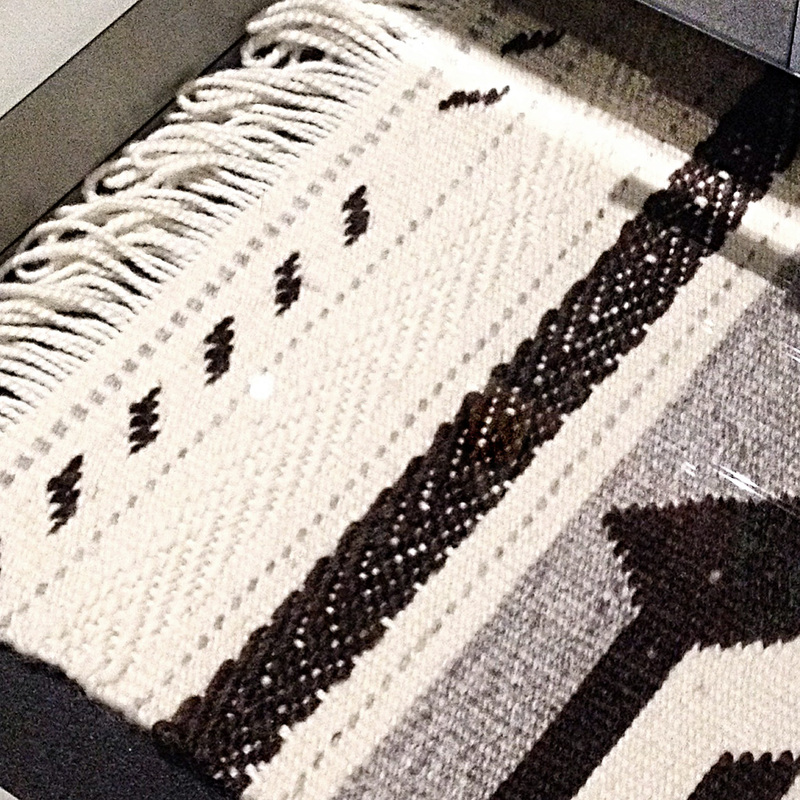 In the drawers: goat wool weavings (blankets, capes and covers) made by Coast Salish local artisans. 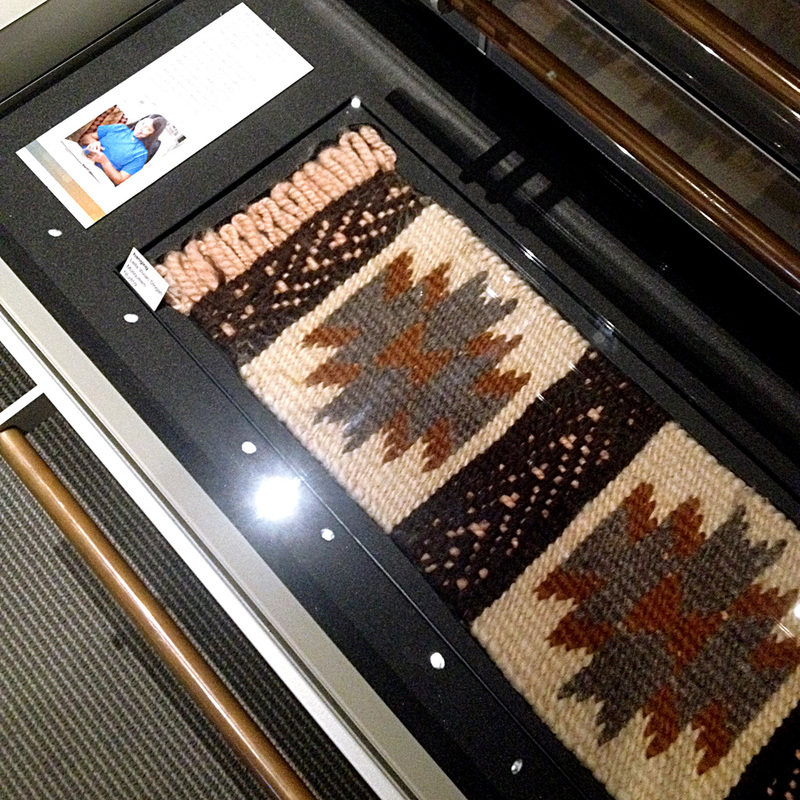 Each piece is associated with a label presenting the weaver, its origins and a short bio. Chilkat robe created by William White, from Tsimshian tradition, Rupert Prince, BC.